I was looking for an online store where I could buy a 15mm diameter Crystal lens which had the Amethyst Gray design because I have been used to this for the past two years. I used to buy at another online store, but for this year, they no longer sell the lenses that I wanted. I only buy new lenses once a year since that is for how long you could use them safely. I also needed new lenses badly since I have an event on the 22nd of January. 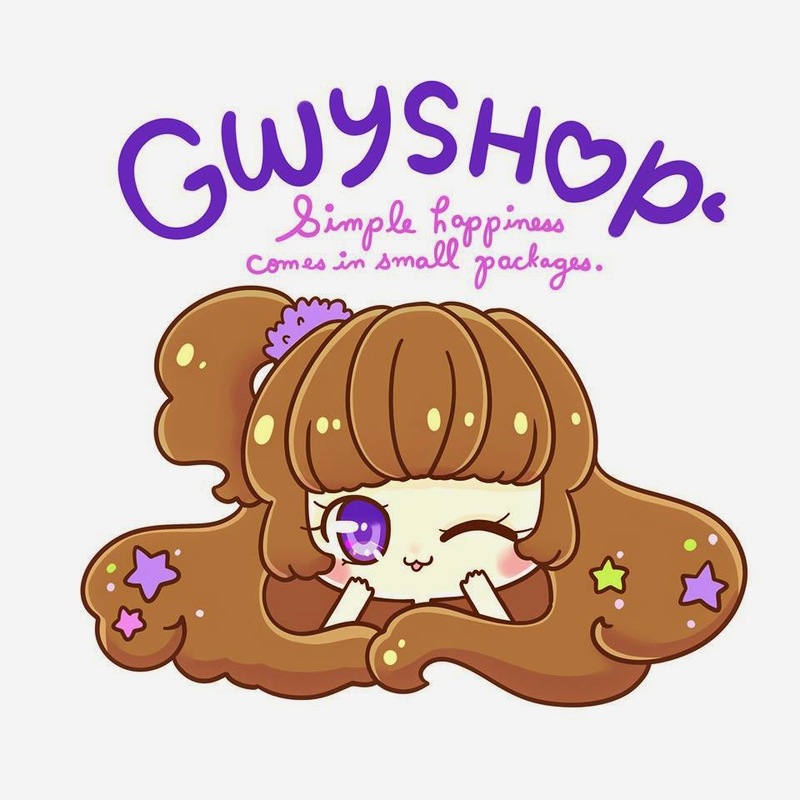 I went to GWYSHOP because I got convinced by online plugs from my cosplayer friends on facebook. I have also seen good reviews from their facebook page. Unfortunately, my first-time experience to buy from their store was very disappointing. December 2014: I checked out their website to look for the lenses I wanted. They have Amethyst Gray with a lot of other lenses so I listed down the things I want and sent them a message to inquire about the stocks. I texted their mobile number and I also sent them a message through viber. They replied the following day and told me that they no longer sell the lens that I was requesting. I told them that it is okay with me even if I would pre-order but they told me that they no longer sell those designs. Then why is it still in your website if you no longer sell it?! They sent me another message and told me to wait because they will be updating their website and give a list of items available for pre-order. I waited for another day for the pre-order items in their website. Yes, they were able to update their page, but how difficult is it to remove items that you do not sell anymore? It is still there! It is part of their responsibility to update that part--putting up things that you don't sell on your site is also a form of lying to your customers. December 18, 2014: I placed my orders: Two (2) Pairs of Ruby Gray + Ruby Brown Crystal Lenses. I completed the forms and settled my payment on December 19, 2014. Upon payment, I informed them at once and they replied, "noted." December 22, 2014: Vibered them to ask when would my orders be shipped. It got "seen" but no reply. So I had to text them via SMS to ask again. They texted me that there may be a "little" delay on the shipment of the products since it's Christmas season. I was considerate enough to tell them that it is okay. January 9, 2015: The holidays are long over. I asked again when would my orders be shipped but I got no reply. Just a "seen" on viber. A MONTH AFTER I PLACED MY ODER AND PAYMENT: I texted them on SMS that I already paid them last December and it has been a month already but I still have no update regarding my order. They responded with a blame telling me that I should have updated them. (What kind of management is that?) Don't they have logs for their orders? I did my best to be calm and patient--replied to them that I have been messaging them on viber but all I had was a "seen." The seller then apologized and told me that it might have been opened by her child. She also told me that she will send me a free lens solution for the store's shortcomings. I just replied with another okay and I still thanked them for the response. I followed up my orders and guess what? I had to choose again! I think my patience has been very much exploited by them at this point. I believe I had all the right to complain at that time but I just had to get things over with so I decided to order the Opal design as an alternative. January 22, 2015: My event day. Still no new lenses. I had to use my old and overdue lenses for the sake of surviving the occasion. Business is business. This store definitely don't give a damn for it's customers. As long as they are earning, then that's it. 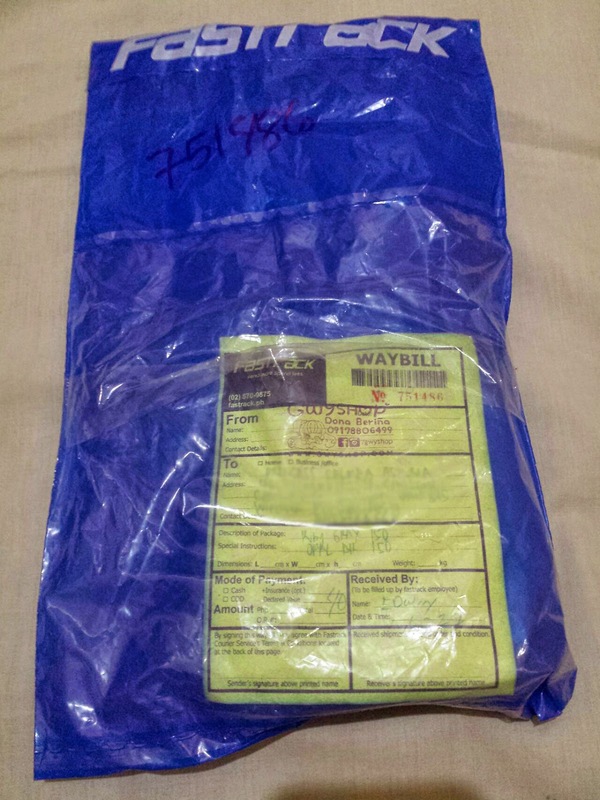 January 26, 2015: After more than a month, that was the only time that my order was labeled as "completed." They were fast enough to reply if you are about to send them your payment, but when it comes to following-up your order, it takes much time before they could reply to you. Received two days after the completion of the transaction. The shop uses Fasttrack as their courier within Metro Manila, Philippines. 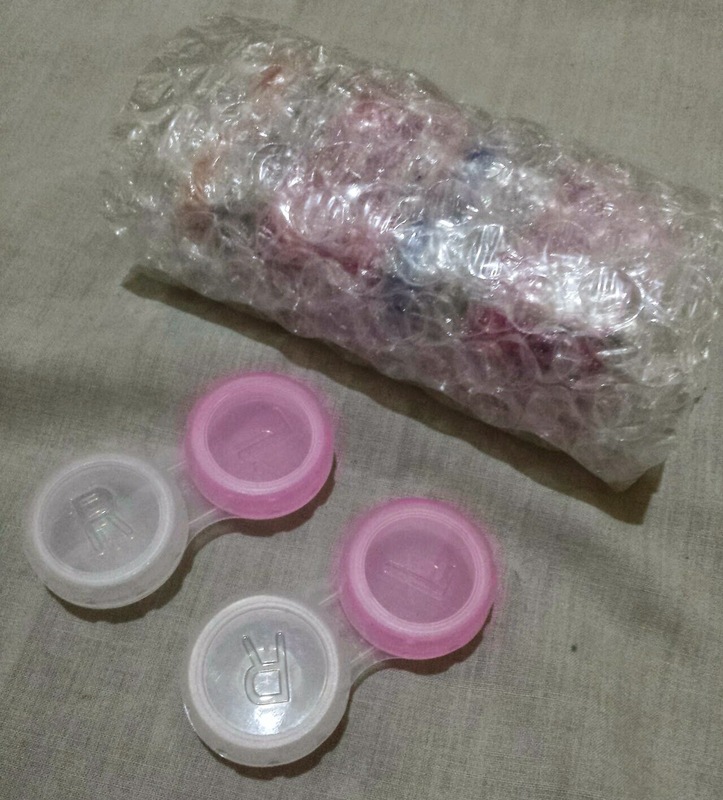 Lenses secured in bubble wrap. 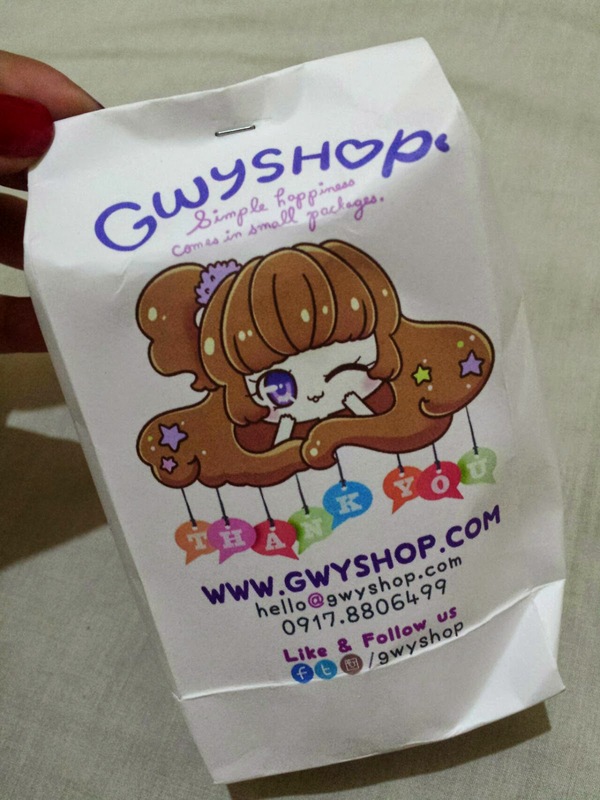 I think GWYSHOP also degraded in terms of packaging. I've seen posts where there is another purple packaging before the bubble wrap. But that is all there is. The promised lens solution as a token of apology for their shortcoming was not even included. I don't really care about the lens solution since I did not order it anyway; but when you commit something to your customer, it is fair enough that you keep your commitment. Your customer abode with your terms and conditions. The least that you could do is to reciprocate it with proper service. The shop gives this comment on facebook to those who give a poor rating (reviews) to their shop. I've seen this beforehand that is why I have been patient and considerate to them; but I didn't expect my experience to be like this.